Final Reduction! 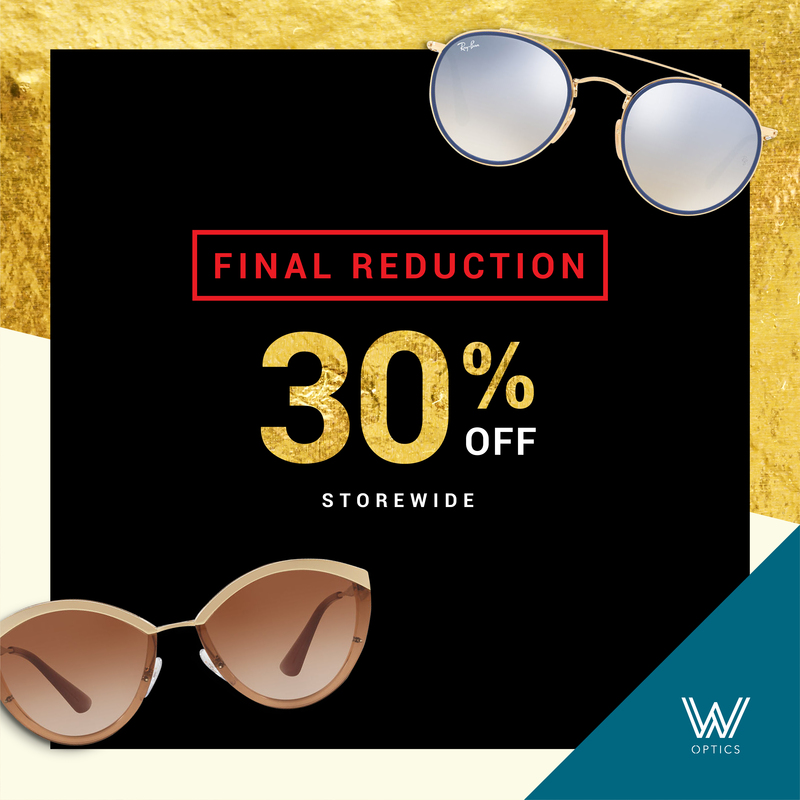 Last chance to enjoy storewide 30% off on all regular-priced international designer frames and sunglasses. Sale ends on 12 Aug 2018. Get your summer style fixed with the latest eyewear collections today at W Optics, #02-23. T&C’s apply. Final Reduction! Last chance to enjoy storewide 30% off on all regular-priced international designer frames and sunglasses. Sale ends on 12 Aug 2018. Get your summer style fixed with the latest eyewear collections today at W Optics, #02-23. *T&C's apply. Check in-store for more details.